For the vast majority of IT shops, a functional, centrally controlled wireless LAN (WLAN) is one of the most valuable infrastructure elements provided. Using the ubiquitous Wi-Fi standards, WLANs have become the most common portal for wireless-equipped laptops and smartphones to connect to the Internet and other computer resources. Some have even tapped their WLANs to support wireless PBX stations using equipment from companies like Vocera and SpectraLink. 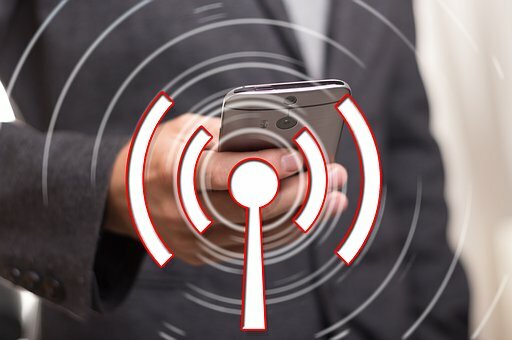 However, the combination of 5G and small cells has provided the mobile operators with what they feel is a viable option for connecting both voice and data mobile devices in indoor enterprise environments. The 5G New Radio (NR) standard has greatly expanded the range of frequencies that can be used to transport 5G signals, so the carriers now boast the RF capacity to emulate the performance users experience on a well-designed WLAN. Using small cells configured like Wi-Fi access points, the carriers say they can seamlessly extend their wide-area wireless voice and data coverage into the office. As those indoor wireless voice and data offerings begin to take shape, enterprise IT buyers will need to decide they’re as viable as carriers say they are. I’ve always been intrigued by the cellular industry’s open disdain for Wi-Fi. Cell carriers have longed seemed to have a vendetta against the cheeky upstarts that had the audacity to provide an alternative wireless technology that didn’t involve a two-year contract and a monthly bill. In support of their case, the cellular folk gleefully recount tales of congested Wi-Fi networks, RF saturation on unlicensed frequency bands, and all manner of risk from mysterious “security concerns” they can never specifically identify -- probably because the Wi-Fi industry put those concerns to bed 15 years ago. Those of us who were in the “wireless” field (as opposed to “Wi-Fi” or “cellular” fields) clearly see the irony of the cellular guys trashing Wi-Fi when we all know that Wi-Fi has actually saved the carriers’ bacon. Apple initially gave AT&T exclusive rights to distribute the iPhone, the first truly revolutionary wireless product since the inception of cellular. AT&T’s reward was the opportunity to watch its network collapse in spectacular fashion… and Wi-Fi turned out to be its salvation. When the first iPhones hit the streets in 2007, the carriers were selling 2G services, which means users were getting data rates measured in tens of kilobits per second. The only way users could get their iPhones to deliver decent performance was to connect to Wi-Fi! To add insult to injury, AT&T’s response to its overstretched cellular data network was to resort to Wi-Fi offloading in dense usage areas. As the macro cellular network clearly couldn’t carry the load, AT&T deployed accessible Wi-Fi hot spots in areas with dense usage. Since the iPhone’s first choice for data service was Wi-Fi, this was a pretty simple solution to deploy. Once the iPhone saw an available Wi-Fi option, it automatically jumped off the AT&T cellular network. Virtually all smartphones still default to Wi-Fi, so your smartphone will jump onto a Wi-Fi network, including that expensive Wi-Fi infrastructure the IT guys have deployed throughout your facility, any time it can get access. Despite their long-term dependence on Wi-Fi, 5G’s emergence seems to have given carriers the idea that they will now have the capability to handle all of our data traffic, indoors and out, over their vastly improved wireless networks. The key development is 5G NR, with its expanded frequency options. Cellular networks have traditionally operated on a few frequency bands generally topping out at around 2 GHz. The original band (Advanced Mobile Phone Service, or AMPS) was in the 800-MHz range. In the 1990s, the FCC opened the 1.9-GHz Personal Communications Service, or PCS, band, which increased the number of channels, reduced the cost per minute, and changed cellular from an enterprise to a consumer service. In this century, the FCC has auctioned off a number of frequency slots in the 600-MHz and 700-MHz bands that offer even greater coverage areas and better building penetration. What all of those bands have in common is the ability to support transmission ranges suitable to cover wide areas (e.g., several miles). The obvious advantage is they allow carriers to cover large areas with fewer cell sites. 5G NR covers all those legacy bands (including those used in other countries), as well as defines operation at much higher frequencies. These higher frequencies are often referred to as millimeter bands (a reference to the signal’s wavelength at those frequencies). In 2017, Verizon acquired Straight Path Communications, gaining extensive nationwide holdings in the 39-GHz band and 28-GHz holdings in major markets. For its part, AT&T is testing millimeter wave systems in its early 5G trials, apparently using spectrum it acquired in its 2018 purchase of FiberTower. 5G allows the integration of other frequency bands into the network, too. These include the 2.5-GHz bands Sprint acquired with its Nextel purchase (now designated Band 41), the licensed 3.5-GHz CBRS bands, and the 5-GHz Unlicensed-NII bands the FCC opened to mobile operators in 2017. The availability of those along with the millimeter bands greatly increases the carriers’ potential network capacity. However, the integration of these additional bands does change the network configuration substantially. Most enterprise customers have zero understanding of frequency spectrum or its impact, but for the sake of their Wi-Fi networks, it’s probably time they started looking at this issue strategically.